New! 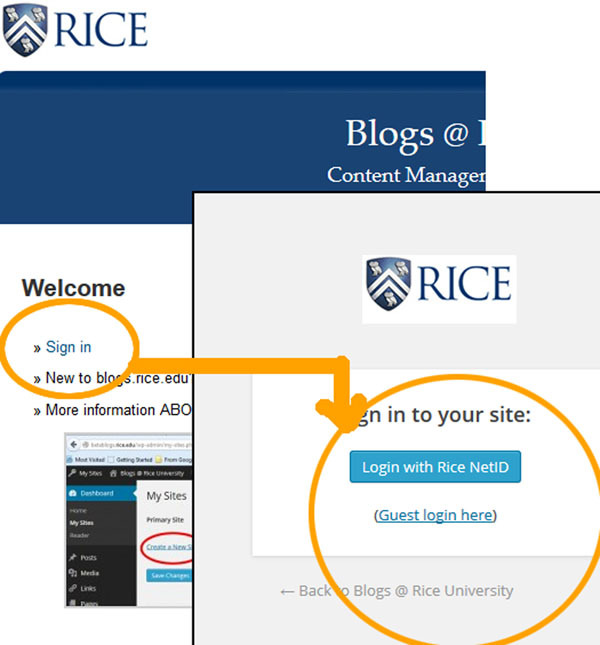 Following the migration to CampusPress by EduBlogs (see about.blogs.rice.edu), the Login screen looks a little different, but still uses your Rice NetID and password. New! blogs.rice.edu have a new theme that is properly branded and easy to use. For more information about using this theme can be found in Rice News article from this link. 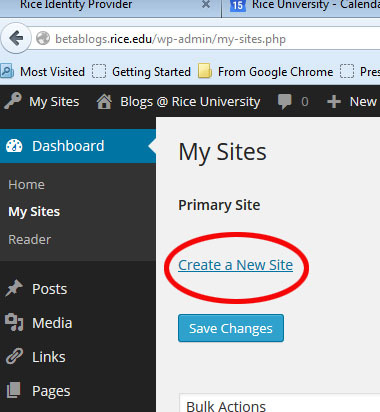 Login to blogs.rice.edu, then create your first web site or blog by clicking Dashboard > Create a New Site. 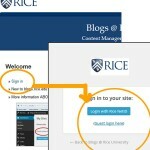 More information ABOUT using blogs.rice.edu can be found in http://about.blogs.rice.edu. 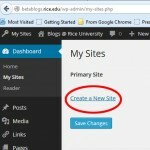 Every Rice University Faculty, Staff and Student can create one or more sites in blogs.rice.edu. Simply login and use your Dashboard to create your first site.